All about Sarasota and surrounding communities...and what an extraordinary place it is! A beautiful bay awaits where dolphins play and swaying palm trees line quiet streets. This gorgeous scene leads to many options: live theater, world-class shopping and dining, and the world-famous white sandy beaches of sun-drenched islands that stretch along the beautiful azure waters of the Gulf of Mexico. There's far more to Sarasota than white sandy beaches. Stroll through an art museum where the architecture is as much as art form as the masterpieces within. Gaze upon rare exotic orchids. Find the perfect gift in one of the most renowned shopping areas in the world. Paddle through lush tropical forests. Listen to a full orchestra ensemble. Make a tee time, or if you prefer, make time for tea. No matter what your distraction from the beach, the Sarasota area has a multitude of activities. In 2011, Siesta Key moved up to the No. 1 position from the No. 2 spot for Dr. Beach's Top 10 Best Beaches. International tourists love the white sparkling sand which is cool to the touch. 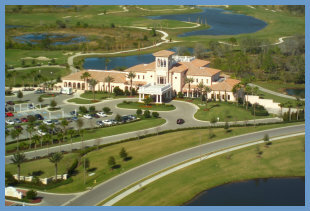 A vital community, each facet of Sarasota real estate is just as exciting as the next. Come experience the allure of our Sarasota paradise whether you choose to relax on our white sand beaches of Siesta Key or Longboat Key or become a resident . . . Sarasota is full of pleasant surprises. 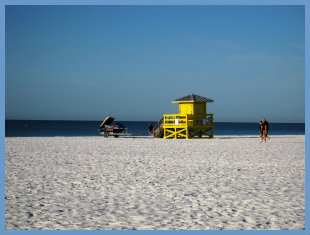 Sarasota comprises a beautiful and fascinating array of communities of all shapes and sizes. From a revitalized downtown to romantic barrier islands to mainland comfort, there is real estate of various prices for everyone. Recreational opportunities abound for those who enjoy the beach, world-class tennis, championship golf or international performing arts. Gated communities provide private, exclusive and maintenance-free homes offer real estate for active retirees or busy professionals. And single-family homes remain a staple form of real estate investment for young families. From Sarasota condos to Lakewood Ranch golf course communities, Longboat Key waterfront estates to Siesta Key high-rise condominiums -- whatever real estate you're looking for, investment, home, condo, you will find it right here in Sarasota. Allow us to show you around town.